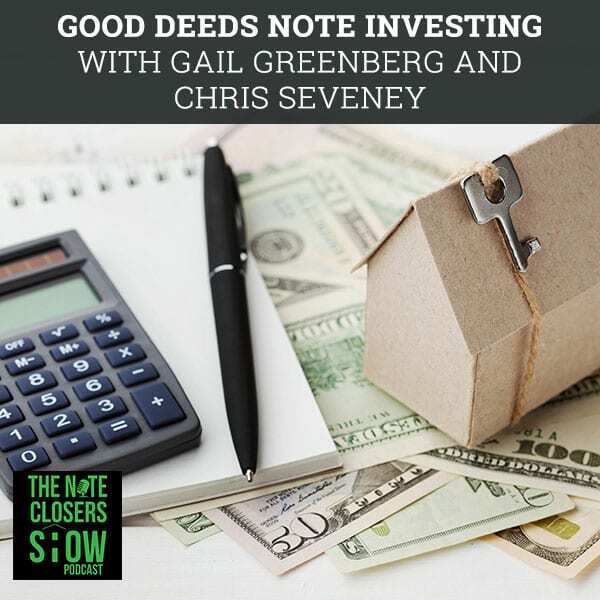 Gail Greenberg and Chris Seveney, hosts of Good Deeds Note Investing, share their insights and experiences in the industry with their own personal stories. 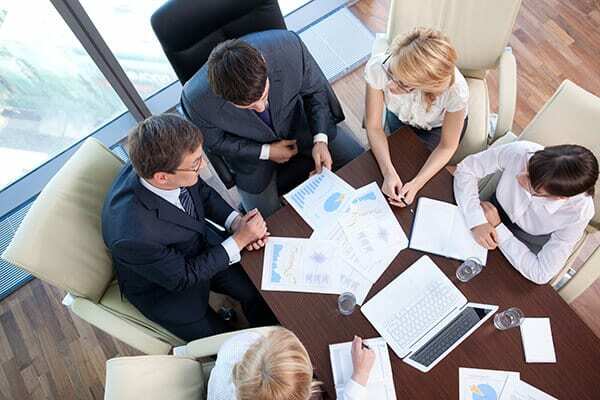 They offer great recommendations to new note investors who are looking to get started in note investing, whether from the fix and flip side to landlord, wholesaling, and more. 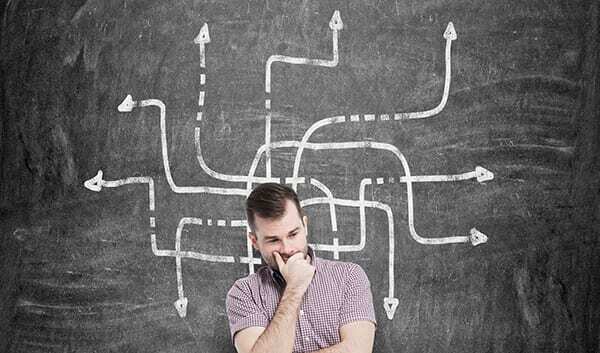 They also show some great flexible exit strategies that you could learn from. Taking us into their show, Gail and Chris talk about their podcast and the lessons they got along the way. I’m honored to have you guys. 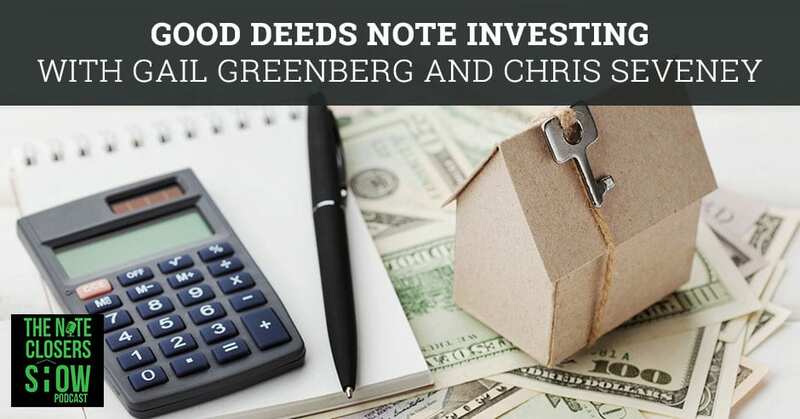 I’m jacked up, excited to have a couple of rock stars in the making who are doing some fantastic things, not only with their own note investments but are also the host of the new note investing podcast called Good Deeds Note Investing. I want to give a big round of applause to our good friends, Chris Seveney and Gail Anthony Greenberg. What’s going on? Thank you, Scott. It’s great to be on. You guys are rocking and rolling along there a little bit. I’m excited that you guys have rolled out the Good Deeds Note Investing Podcast. We’ve got fifteen live, posted and recording two per week. We’re launching two per week. It’s been good. For those that don’t know who you guys are, why don’t we start with a little bit about who you are? You have been working together on a variety of deals, but you also do deals independently stuff like that. Why don’t we start with ladies first, Gail? I want you to introduce a little bit about who you are, what you are focused on the note business and we’ll talk about how you guys hooked up. At the very end of 2016, I joined our Mastermind. I took the Fast Track training in November of 2016 and went to my first Mastermind two weeks later. At the end of that month, December I bought my first two notes. I spent most of 2017 doing deals with my own IRA money because I didn’t feel prepared to JV with anyone until I had more experience under my belt. During that year I bought as many different kinds of situations as I could find so that I would experience many things and gain wisdom. By the fall of 2017, I started getting a lot of JV partners, doing a lot of deals and built my portfolio pretty fast. By the end of 2017, in my first year, I had 30 notes and now it’s doubled. It’s been a year of evolving as a note investor and understanding what the normal phases are from not knowing anything yet to, “I’m rolling. I need better systems.” I had met Chris because he’s a big online social media guy. One of the few investors who were in my area, we’re both in the Northeast, I’m in Philadelphia, he’s in DC area where my son lived. I hopped on a mega bus, I asked him to meet me in April 2017 and we spent four hours together in a Starbucks talking about notes. Your son was having landlord issues in DC is where the conversation started. I moved to Seattle. That’s how well it worked out. I come from a real estate background where I’ve been involved in construction real estate for twenty years. With the wife and kids, trying to grow some real estate business is pretty much impossible, especially in DC with the equity that’s needed. It was April of 2016, I was on BiggerPockets. I saw this guy, Scott Carson talk about notes and I was intrigued because I had never known about notes or it existed. 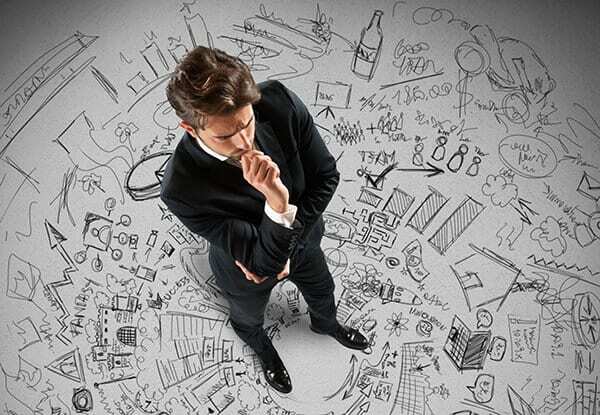 Being a typical engineer, I analysis paralysis for a good six months. It was October, November of that year you had the Note CAMP. After Note CAMP, I finally was like, “I’m going to pull the trigger.” I bought four notes at that point in time, used some of my retirement money on that, worked those out and then bought some more with my retirement money and worked them out. Once I started getting ten to twelve under my belt and understanding it, started getting some JV partners and then continue to grow from that point in time. It was November of ‘17, from Note CAMP I won the Fast Track social media award. In May of 2018, I took the Fast Track with you and since that time it’s taken off for me there. You are both doing a good job. You guys have closed on 30, 50 notes a piece, something like that or more. Note Investing: You have to be very industrious about all the ways that you look for deals. More 50, 60 plus. Chris is up in the 80, 90. I almost hit the magic 100. He keeps buying these little pools of things. I spent about 50 since the Fast Track. That’s from May and it’s pretty close to 50 since then. You guys are doing a great job. I’m very proud of both of you and you’re are also very active online, sharing your wisdom across BiggerPockets and other things. Why decided to do a podcast? Who has the idea for the podcast, who came up with it or why? You guys partner on a few deals to begin with too, didn’t you? The question for both of us in 2018 is how do we want to get bigger? What’s the next level and how are we going to get there? Chris is like a diabolical genius with numbers. He’s scary smart. We’ve just decided I’m the word person, he’s the number person. I’m writing the emails, he’s doing a lot of the other stuff. From a conversation with Chris, we’re so similar in our outlooks, values and goals. It seemed really like a natural thing for us to team up. He accomplishes a great deal, but he still technically does have a full-time job. That’s a pretty demanding job. He’s got a demanding home life. My kids are grown. I see all the couples who come to the note events. I’m jealous because my husband has never been interested and it’s a lonely vigil that I keep. Can I get a young man to partner with me? Let’s talk about some things here before we dive a little more about the podcast and stuff like that. For those that are looking into 2019, what are some things that you would recommend to a new note investor looking to get started in note investing? Whether it’s coming from the fix and flip side, lazy landlord, wholesaling or a brand new, what’s probably the most important thing that you would tell people to do? Gail, I will start first with you on that. A lot of people have been complaining about the prices going up. Your response rightly so to that is you have to call the banks. You have to be very industrious about all the ways that you look for deals. People who are brand new don’t even know the usual people we all go to for deals. For me, I feel like I’ve gotten a lot more flexible about what I think is a deal. I talk all the time when I’m selling notes to people who are still following some very strict script about what makes a deal. I feel like those people are never going to be able to buy anything because they’re too rigid in their thinking. I’m trying to sell some notes and one gentleman can’t get past the fact that he can’t get solid BPO on these properties. The ones that he’s looking at are both CFDs and I always say, “You can assume even if this borrower goes, that you’re going to be able to resell it for at least what this borrower paid for it.” Do we have to worry about like what some existential ultimate value is? That only matters if you’re going to sell it and usually those places aren’t in good enough shape to sell retail. Are these occupied assets or performing assets? These are mostly performing and self-performing. A lot of people get so bogged down in the one exit strategy or what their spreadsheet tells them that they don’t look at the common sense underwriting aspect of things. You make a good point there. You’ve got multiple strategies with the note space. The biggest mistake I made early on over a decade ago was coming to the space to treat everything that I was going to foreclose on it. I lost a lot of money by going that route versus working to modify and reinstate people and it will be a little more flexible in my exit strategy. Chris, what’s the number one tip you’d give to somebody looking to get started this year? I’d say make sure you get good training and we talked about with pricing going up, you have to be patient. Some of the pricing that’s out there is so absurd. It almost looks like the sellers are trying to be predators against some of these newer investors not knowing any better. That are the two things and look for a mentor as well. Try and find someone who’s bought some notes and talk with them. Run ideas off them or if you’re looking at bidding on something, have them double check your numbers. The last thing you want to do is getting to a deal that they’re either overpaid or there’s something wrong with the collateral that is very costly. Let’s talk about that situation we’re talking beforehand. Let’s not name any names. Let’s talk about the smoke blowers or the crack smokers, how’s that sound? What were some of those deals you were offered, Chris? It had been roughly about fifteen, twenty assets. The bid was somewhere around $350,000, $400,000 on these assets, roughly caught $20,000 apiece and some well-balanced. Most of the properties were $50,000 to $100,000 properties, most of them did have equity in them. I knew they’d want a little more money on upfront and so forth. I bid a little more aggressively on them. I spoke to one person who I was buying a car where he was like, “Let me bring in the lead manager on this to talk to you, to tell you how smart I was and how well known and all this.” I sat there thinking, “Here we go.” We got some new vehicles because we lease ours and those were up. It’s like hitting record, rewind, and record again. What I caution everyone to be careful with was he was trying to sell everything based off of the fair market value. Example, one house I had caught was worth $250,000 and the note was about three months behind and it had a $50,000 UPB. He was trying to tell me, “You’ll end up with the house, you’re going to end up with it. I’ll sell it to you for $150,000 because you’re going to get it.” I’m like, “No, I’m not going to end up with the house because if it forecloses, $50,000 aren’t going to go very far unless it’s only worth $50,000.” They were trying to settle everything based off of fair market value. If it’s something where the loan is upside down, absolutely you’re going off of the property value. Always go after the lower of the UPB and property value, which in this case UPB was lower but they were still trying to sell it. I would have been bankrupt in three months if I had bought that pool. There’re a lot of people in this world who do make crazy. The sellers want crazy things like that and they’re so forceful. If you’re new, you could be persuaded by how much commitment they have when they tell you you’re going to get that house. Be careful, make sure you’re flexible in your exit strategies like Gail said. Know what’s going to happen, look at the numbers and know what you’re bidding off of accurately, that’s a big thing. Always go off the lesser of the two in the value or the UPB and go from there and stick to your numbers. If the numbers don’t make sense, next. There are always more tapes coming around, especially if you’re doing some marketing and reaching out to different funds or different asset managers. Everybody’s talking about sources. Without disclosing any names or things like that, what are some of the things that you guys are doing to find new sources besides the lowest low hanging notes that’s out there? Few things Gail and I’ve done is we bought in some REOs and taken those and turned them into land contracts or sold those off. That’s one area that we looked at. Note Investing: Make sure you’re flexible in your exit strategies. Look at the numbers and know what you’re bidding off of accurately. Talk about the deal where you were doing over $5,000, it’s a little over $25,000 or something like that. We bought for $3,000, we just sold it for $27,000. That’s been the big one so far. That was a rural Oklahoma property. That was quite a surprise. It was quite busted up and in a flood plain, as it turns out. With LinkedIn, it’s making things a little more difficult. I know people talk about email. Pick up the phone and start calling people. Introducing yourself and reaching out, that’s one thing I’ve started to do it like lunch breaks or in the evenings, people on the West Coast. Pick up the phone, call them, leaving them messages to see who they are or also touching base. Gail and I had a conversation with an individual who is an attorney who represents a lot of other attorneys and knows a lot of funds. He rattled off, “Call these ten people.” It’s that part of networking. It’s not always reaching out to a hedge fund. Sometimes those hedge funds usually have relationships with people. If you can find that other person who has that relationship with them, he can give you the end versus calling them cold. That can be very successful with that. Gail, what’s another source that you guys have you been doing? Is it a little bit different more or so or what? I’ll echo what Chris said when I was still fairly new on this, it turns out that Alex Goldovsky’s office is twenty minutes from my house. I went to see him, he was gracious enough to welcome me even though he hadn’t done that many title reports from me yet. We had lunch and he literally went back to his office and wrote to six people introducing me to them. One of them is the one that we were talking to who’s now introduced us to other people. I was going to say too, either you find them or they find you, the sellers. Part of our strategy frankly and with the podcast too is to be more high profile in this world so that when people have stuff and they don’t know who to go to, they come to you. I actually got that idea because Dave Potts told me, he’s got a big Facebook group and a meetup group in New Jersey. He told me about deals that have come to him because people are sick of their notes. They’re not necessarily big regular players in this world where they know everybody we know. They don’t know anybody. They may have created their own notes, they want to cash out or whatever. People had brought him unbelievable deals because they’ve heard of him. The distressed part of the deal is not the borrower, it’s the owner of the note who wants to get out of the business or wants to move on to something else. There are a lot of notes out there in private hands. I don’t know if you ever attempted to establish how many, but it seems like there’s quite a few. There are a lot of people that have a lot of one-off notes. They have like five or less that they finance with their investment properties, things like that and it’s not their company. We’ll all agree though that if you’re going to be in the nonperforming space, it’s got to be a focus. Would you guys agree to that? For the most part, you can’t be doing other real estate deals or would you disagree with me? I would agree. You can have a property that is a note that you take back and turn it into a rental. You might be able to pick up rentals but from my business perspective, I don’t think you can fully run a fix and flip business or buy twenty, 30 and holds a year as well as do notes. You can diversify in regard to having both but if you’re trying to do both, you got to do one or the other. You might be able to dibble a little bit in the other component to it, but the note side takes a lot of time if you want to do it right. Certainly where the bang for the buck is also. If you’re going to spend time doing anything that’s where the biggest gains can be made. We were actually inspired by Eddie Speed to take performing notes that we had and shop them as partials to see if people wanted to buy. Although we’ve sold some, for the most part, we have not yet connected with that group of people that wants to buy partials or full notes. Most people that we know are looking for nonperforming notes. The question becomes if you do take nonperformers and turn them into performers, what’s the best way to get your money back out of them? I’d love to hear people’s thoughts about that. One of the big things that we’re doing and it’s a big marketing push we’re doing, I’ve switched my focus on where we go to market for investors looking for performing notes. Let’s face it, we go to a Note Expo or even Note CAMP, DME, IRONMAN or any of those. You’ve got a lot of people looking for non-performing notes that are all sharks, you’re swimming with sharks. I stopped marketing for the most part to that group. 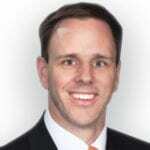 I started focusing on the mom and pop IRA investors and not necessarily the Quest clients. They are the local people in my market looking for performing notes that are happy making the 6% to 8%. Not only is it cheaper money and I can arbitrage out the performing notes, pull out the investor’s money or my own money and put that back into my game. Pay them a great return but stay involved in the deal like a partial. For those paying $800 a month and their payment is like $400 a month, they’re happy. I’m still keeping that split between the difference and staying involved in the deal and then going from there. Chris, you were going to say something? You helped me start the meetup group in DC, which we’ve had a meeting and starting to get that taken off and stuff with a meeting with local people. Especially in my area, DC has a lot of engineers and they don’t want any type of risk or they want something more secure. I mentioned, especially if they’ve got $5,000, $10,000 or $15,000, $20,000, they want to get into our partial or you might not be able to get in on a note. You can park that money there and I’d say it’s probably a little safer. It’s definitely safer than a nonperforming note and it’s less risk. That place’s safer than the stock market. It’s not a tough sell. Did you guys see the article with the top performing asset was cashed at 1.9%? It may go up and may go down but back in the same place. Whereas if you look at what we’re doing with a nonperforming and getting those to perform because that’s really the ultimate goal. Get it converted to a performing note so the yields would be great stuff like that. It goes on autopilot for you. Gail, you got started initially to not only make money but you also have a very generous heart and are looking to donate money and get back, too. I want to get my own survival and fun time retirement needs satisfied. In the past, I’d always thought in terms of giving money to charities, but I would love to manage a note portfolio for charity. Give people regular cashflow that they can count on year in and year out, that’s the goal. Chris, what’s the ultimate goal for you to get rocking into this? Are you going to leave the job or help with the family? Gail and I are exact opposite ends of the spectrum. I have kids here on and so forth and she does this full time, where I got a full-time job and younger kids. For me right now, I’d say getting ready to pay for college and put money away as much as I can. I look at it from the money I can make off of the notes, it’s sooner I can either retire or get out of the full-time job. Eventually, I’d like to do this full time. I have goals, it’s not something in the next twelve, 24 months. It’s a little longer term. It’s the same thing, like Gail talk about charity, mine is a little different. I start to get involved in some of these markets, some of these properties I take back as REO. What I’d like to do is find some local contractors, fix them up and donate it to disabled military veterans, something like that. Some type of group like that where some of these areas in Indiana and stuff where I’ve been investing and stuff, where you take back a house. It might have been CFD that you only paid $7,000, $10,000 for something like that. If you’ve got payments or whatever it is, work on finding some contractors, fix it up and donate it is something that I’d like to start doing at least a one property a year in minimum. Go off your taxes there too for it. You guys have both been doing this work going on about over two years for the most part. What’s been the biggest surprise for you? Things maybe that you thought initially and then six months, a year you’re like, “I was completely wrong about that.” Gail, what’s been the biggest thing, been the biggest surprise to you that you had to wrap your head around? It took a little longer than expected. Note Investing: It’s amazing how much fun math becomes when you’re measuring your progress towards a goal. The biggest surprise for me is how much I love it. I have been in almost every kind of real estate from flipping to being an investor in bigger multi-families and managing student rentals. I knew I wasn’t going to love that one but it’s such a great mix of straight number work of understanding your ROIs and having goals. It’s super fun, even if you’re not a math person. 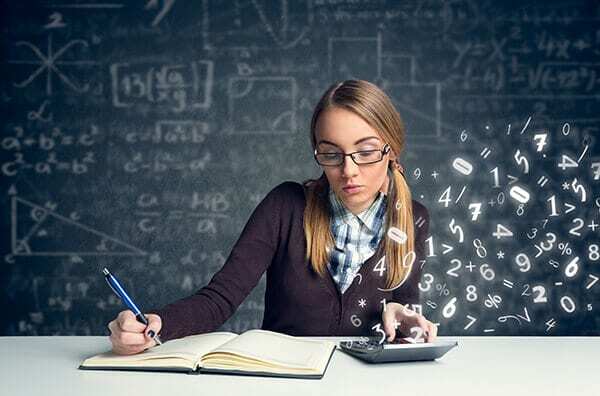 It’s amazing how much fun math becomes when you’re measuring your own progress toward a goal or you’re planning a future with certain cashflow and everything. You’re really seeing how it can happen and it’s very concrete and easy. I also loved the creativity of it, figuring out how to make something a deal. It’s hard when you take them to real estate training, you feel more or less like you have to follow the recipes that different gurus give you. With you, you get the tools and it’s like learning the basic rules of cooking and being ushered into a room with lots of delicious ingredients on the counter. I’ll show you how to make the cupcake. The icing and sprinkles are all yours. Chris, what’s been the biggest surprise for you in almost three years? Two things, one is how small the industry is. You say a lot of people come and go that try to get in but don’t stick. As you become a part of these groups and so forth, some people are always either pessimistic or antagonist on things. That can hurt you, to say the least. It is such a small, tight-knit community. That’s the first thing. The other thing is raising funds and finding JV partners and stuff like that is not as complex. I don’t want to say it’s simple by any means but if you market, you can communicate well with people, have some history, some background on what you’ve been doing, you can explain that to people and share deals with them. Explain to them how you’re going to treat them, building that relationship. That has been something that at first a lot of people will think, “It’s going to be impossible to find partners and stuff.” As you start to just do videos, the podcast, post stuff online and share some expertise, whether it’s on BiggerPockets or Facebook, people reach out and you build relationships with them. I was surprised to make this point about Chris, what Chris said about people come and go and everything. My surprise is I see people in BiggerPockets complaining about how much money they lost in notes and stuff. I understand it’s possible. I have lost a little bit of money on a deal that I probably should have never bought. If you do your due diligence and you’re smart about it, as long as you don’t buy a house that already burned down or something like that. It feels like it’s hard to lose all your money compared to a flip, where you can be in the middle when the market changes and suddenly your numbers are upside down and stuff. I’ve been there a decade ago, when I was doing some bigger fix and flips. Ten foreclosures on the street will cause your values to drop pretty dramatically. That’s the thing, you want to avoid the Debbie Downers. I see that people complain about pricing or people complain, “I had this horrible deal.” “How many deals have you done?” “One.” That’s the problem. Did you jump in? Did you overpay? Honestly, for the most part, the only way to lose money is if you don’t do your due diligence, don’t check your taxes and then don’t follow through with the assets for the most part and be flexible on what your exit strategies are. We get calls from people all the time, trying to ask for help after they’ve already done something calamitous. Unfortunately, not much could be done, Chris was trying hard to help someone who way overpaid for something and there’s no way out at that point. It was a non-recourse loan that was made to an IRA investor on a property that they paid par for the note. They never did a VPO, never checked the pay history and lost 90% of their investment. It was actually vacant when she bought it because the electrical hadn’t been on in five years. She bought it from one of these funds that were selling, calling it a performing note because somebody bought it and made two payments. It was a three-year payment with a balloon to an IRA investor. The funny thing was the actual woman whose IRA it was in, I lived five houses down from where this woman lived at one point in time. It was a nonrecourse loan through that woman’s IRA. There was nothing you could do after, they went to foreclosure, sold for single digits in thousands. They were in it for a lot more. I felt so bad for this woman in a sense but sometimes you got to be careful. Even when someone sells you performing note, you need someone to look at the collateral and still do all the regular due diligence. I feel like those are the ones you have to be the most concerned about because there’s no margin for anything to go wrong. There’re a lot of people out there, a lot of funds and a lot of sellers, “The borrowers has made one payment to performing note,” or “The borrower has expressed interest in the loan mods, we’re going to charge you more.” Doing due diligence, checking on things. It is a very small market, especially when you’re hanging out on BiggerPockets or LinkedIn and communicating from there. You guys have the idea of the podcast and you got a few episodes. You’re on episode fifteen with few more ready to go live there. What’s been the biggest surprise you’ve gotten from having the Good Deeds Note Investing Podcast? We thought we were getting a little too granular, like talking about all the excruciating details of the things that we do. That’s actually what people are appreciating because they love the high-level stuff, in terms of shaping their philosophies and stuff. There’s quite a hunger it seems for knowing exactly what happens or what to do in a particular situation, even though you could never cover in a lifetime every situation that could possibly arise. Chris, what’s been the biggest surprise for you? Similar to what Gail said, we target it almost as a reality TV in the sense of we’re telling our story and stuff that’s in real time of what’s going on these deals. Especially for myself being an engineer, I sometimes dive too deep into the weeds and Gail’s got to reel me back out and so forth. People are commenting on the fact that we go very in-depth into the deals. You can learn a lot about this industry. Once you get a lot of that training, you get into a deal and you got to act on the fly. Sometimes things come up that you never anticipated and how do you handle that. We’re sharing our stories. I do a video every morning on my way to work. I posted one where I get a call on a contract for deed from the city saying, “There’s an unregistered car in the yard. We’re going to start finding you.” Just put it out there, I’ve never had this happen to me before. What can I do? I’m asking my attorney, but I want to also share that story with everyone else. It is valuable information for people who may have this come down the line because it’s not probably unordinary to have no vacant vehicles sitting in a property. You never run out of stuff to talk about because having that happen to you in North Carolina is probably not the same as something that happened to you in Ohio or Michigan. I realized I have a nonperforming borrower who is actually a tow truck driver and wondering if he can go tow it and now at least I could pay him. I could at least get paid on one of the loans and not get fined on the other. When we first started the podcast, I don’t know how long they actually are but it felt like they went on and on. Chris and I tend to digress. We would start on a topic and then I’d go down a tributary and he goes down a tributary and then they would branch off into other things. We finally decided like, “Let’s streamline and let’s have a structure here.” In our podcast it is composed of three portions, there is the first one which we call “What just happened?” That’s where we get to talk about whatever is the topic de jure, the phone call I had that thing that’s driving me crazy. We segue into the main topic which is preplanned, we did a little homework for this one so that we can not just tell you our story but tell you something like the underlying rules about it. We call the final segment “Notes and Bolts” and that’s where we give away a useful tip. It’s good to have a segment. There is no ideal time for an episode. It is whatever it takes to get it done and that’s the beauty of it. Sometimes we have episodes that are like eight, ten and fifteen minutes long and those were like an hour and a half. It varies on the guests and how long winded I am for the day for the most part. That’s a good thing that you have a little bit structured there for you. Trust me, you’re going to go back and listen to the first couple of episodes in like a year and you’re going to hate it. Are you guys already getting some fans or getting some people to reach out to you for different things? Any surprises that way? Yeah, we actually have. They seemed to write to Chris mostly. Chris, what are the nice things that people have said to you about us? Note Investing: There’s quite a hunger for really knowing exactly what happens and exactly what to do in a particular situation. That’s the thing is we had a podcast meetup group here in Central Texas. Half the group had done a podcast, have episodes, running shows, others were looking to do it. The biggest thing is from new people were like, “Where are all the technical?” They’re all worried about doing it. Zoom records your episodes, for the most part, uploading it and then having Podetize with the editing or the production side of it. They’re worth it. They do a great too with the editing especially. You couldn’t hire somebody to do what all the work you do, especially when you look at what your guys’ time is worth with the number deals you’re doing also balancing a full-time job, family and things like that. It’s definitely well worth it. What are your bigger goals? We’ve asked people about this, I don’t mean podcast-wise but what’s your big goal for 2019, Gail? I want $20,000 a month in passive cashflow and I want a house in New Orleans. I expect everyone to try to help me with that. Didn’t you work with Jonathan Burden a while back? He’s been very helpful to me. I have a contract for deed in New Orleans and it could be mine someday. In the meantime, I’ve Jonathan to go over there, peek in the windows and see what’s going on. How close are you to your goal you’re trying to reach, you’re halfway there, three-quarters of the way there? I also thought about the fact that the stuff that’s in my IRA, if they pay off, I’m not going to be able to leave anything to my kids. What I’m actually doing is I’ve ended up with properties because I’ve taken them back. Rather than create new notes on this, the ones that are in the areas where I want to have rentals, I’m keeping them as rentals. I’m also cashing out a number of notes and buying rentals. I have now teams of people in a few places where the numbers work. I’ve got them out hunting with actual recipes of how much in rent I need for X amount of investment. The taxes cannot be more than one month’s gross rent, go find it and it’s working out. I have so much more money because I invested it in notes. I’ve doubled my IRA within a very short time. My thought is I’m using notes to build up cash and when I have the cash, I’m buying rentals. You’re doing the double down effect, that’s awesome. As you’ve been talking about a lot, being able to buy more in bulk is something that people are looking a way to expand. One thing Gail and I are working on is having our attorney draft a 506(c), to look at starting to fund. Get accredited investors involved to look at trying to take down larger pools of assets. Gail and I have our separate assets. We’d get a few assets together, one thing we’ve been talking about is teaming to start a fund to start looking at buying stuff in larger bulk. By bulk too, we don’t necessarily mean we’re not talking $5 million, $10 million. We’re talking bulk where it’s a $250,000 or $500,000, $1 million in different places. A lot of people to start thinking about funding, they start thinking $10 million, $20 million, $30 million. No, when you start a fund, you don’t start off where you got to raise $5 million to go fund the $5,000,000 tray. It’s like a stair-step method as you put it, bringing a $250,000 and go from there. It’s like Chris was saying people don’t want to podcast until they can be perfect podcasters. People don’t want to buy notes until they can be perfect note investors. None of this can be done without throwing yourself into it. It’s like if you paddle furiously, the ducks, it’s peaceful on top but you’re paddling furiously underneath. There’s no way around it. You can’t perfect yourself and then roll it out. It’s so funny talking to new investors who are possibly going to buy your stuff because you see yourself four, three years ago whatever it is. This is why there’s so much opportunity for the rest of us because honestly there are people who will never get past the fear about doing it. You got to be an action taker, you got to dive in. You can’t learn swimming by swimming in the air. What do you each enjoy about the other and how do you build each other up to grow that? What’s interesting and it plays off and helps the show is Gail and I are literally exact opposites. Gail does the borrower reach out, Gail does everything with her notes. I’m the exact opposite where I third party everything. Gail does notes full-time. Her kids are out of the house and looking to build her house in New Orleans and so forth. I’m at the point in my life where I’ve got kids with college and trying to get some cashflow going for that process and stuff. I’m a numbers guy. She’s more of the marketing and genius behind some of the marketing component to it. It’s pretty easy in that sense where because we’re both opposites. It’s like, “I’ll handle numbers,” and she’s like, “Yes, I don’t like numbers.” I’m like, “You handle the marketing or some components to it because I don’t want to do it anyway.” That’s where I think we do play off each other very well. That’s actually fun. I’ve learned a lot from Chris. He is so good at things that I’m not particularly good at. You tend to avoid things that you’re not good at, at least I do. He’s systems-oriented. He’s methodical. He always figures out a way because he has to of making things very hands free. He has even automated his reporting to JVs, which he does monthly and I only do quarterly. He can do it because he’s got it all set up in Infusionsoft. He put in a few details, hit a button and it goes out to everybody. I’m constantly wowed. We enjoy having a funny repartee because we have sometimes the different way that we look at things. The last thing you want to do is have somebody who’s an exact mirror image of you. You overdo things that you’re great at and then the little things of things that you need to get done don’t get done. I’d say between us we have pretty much everything covered. There’s nothing that we both hate that we’re all avoiding. It’s been a tough evolution for me. My husband and I went through some tough years financially. I became this incredible do it yourselfer and unfortunately for a while, I’ve been doing everything myself. I’m actually realizing the folly of that, not just in terms of time management and what you can accomplish. I’m selling some notes and some were non-performers that I’ve only gotten to be sub-performers and the people are struggling. I know those borrowers. Most of them text me, call me and stuff and I feel almost guilty selling them off to someone else who may foreclose. I can’t control that but there is ultimately nothing that I can do unless they’re going to be my charity. Note Investing: There’s so much opportunity for the rest of us with podcasting because there are people who will never get past the fear of doing it. We actually did a whole show about calling borrowers, whether you should, whether you shouldn’t, if you do what you need to do to be safe. You listen to our podcast, what do you think of it, Scott? You guys are doing a great job. I liked the banter between you and I love having the three sections, stuff like that. It’s going to evolve. My podcast is evolving quite a bit too. We’re looking at how it affects our businesses. It’s been unexpected. We’ve seen a lot of results on unexpectedly from things if we’re getting the word out on what we’re doing and our crowd growing and things like that. It is a small niche and unfortunately, there are very few podcasts that are in our niche. We’re the longest running with the most episodes of anybody that’s been out there. I also look at others like you guys and then Note Inc. as well. There’s a need for it because not everybody wants to listen to Scott Carson talk about notes and I’m okay with that. It’s the same thing I like, I’m friends with Chris Krimitsos who runs Podfest and the Florida Podcasters Association. It is a beautiful thing because my tribe and your tribe have a lot of differences. By you guys having a show, you’re going to drag the different audience than I would but it allows for us to kind of cross-pollinate shows of different things. Those that listen to you may come over and listen to me and people that listen to me come over and listen to you guys. I don’t look at it as a thing of losing traffic. It’s gaining allies, whether you like it or not for the most part. There are probably 600,000 different shows, over half of them have not done a show in the last year. There are probably less than 250,000 shows that are producing. There’re a lot of shows that get created but literally, a lot of people get to ten shows or less and they stop. They don’t see the instantaneous results. I told you guys if you hit the ten-episode thing and keep doing more then I’ll have you guys on and get rock and rolling on that. That’s the big thing if I didn’t believe in it I wouldn’t have you guys on here to talk about it. There are a lot of great synergies that comes when you have several shows and you have things to choose from and selection. It doesn’t mean that they don’t like steak but tonight they might want to have a little fish. I talked to Robby Woods from NoteMBA, it is unfortunate you see that a lot of people get pod fade as I say. We’re talking about that. If you can make it to 300 episodes, you’re in the rarefied air of three-tenths of 1% of all shows producing 300 episodes. There’s a goal. What are some things that you’re doing to help you grow your show, to get the word? It started off as a marketing piece to help you guys get a better audience. We’re actually launching a second segment. We’re having a weekly Q and A. We know people are dying for specific answers to the things that they’re dealing with. People call us routinely and we spend significant time answering questions on the phone. It occurred to us why we should do this so everybody can get the benefit of the time that we’re spending here. We’re excited about knowing more directly from people what it is that they need, looking for and what they want from us. I’m excited about doing it. Eventually, we’re going to launch on video as well. You got to start somewhere and the first few episodes have to gain that synergy between each other and work out some of the kinks and so forth. I think we do play very well off each other and the show is very natural. Once we’ve hit that stage and point having it on video as well, starting to put stuff online and doing the video is the next step as well, along with trying to expand the podcast realm. I was pretty surprised where we’re at with the numbers so far with the audience. We want to continue to grow. For the first fifteen, we’re about 2,500. Every episode has been about 100 to 150 downloads. It’s been going well so far as we continue. We didn’t launch until about December 1, 2018. We had a few episodes recorded but we took a little while, got them launched and then since that time it’s continuing to market, grow and expand the podcast. I’m proud of you guys. I’m excited for what you are doing. You are doing a phenomenal job. Stick to it, please, for the love of God. I highly encourage you guys, if you weren’t planning, I would look at coming out in February to Podfest there in Orlando. It’s on the East Coast for you guys. Podcast Movement was in Gail’s backyard before you guys started a podcast but they’re both in Orlando this year. It’s something I would encourage you guys to go to. Great stuff, you can pick up some tips and go from there. Great job. I’ll be honest to you, Scott, I don’t know how you do it every day, to be honest. Part of the easy thing about doing it every day is that I don’t have to consult with somebody about what’s going on in my head. It’s not a bad thing. It’s a great thing you guys bounce off each other on different things. Half of it is an interview with people and investors and the other nuggets are what’s going on, what emails did I struggle with. The whole fear factor episode talking about eating dried donkey dung literally came from a conversation I had with an investor in the parking lot as I pulled in the office. Talking about fear, they had some deals I didn’t know exactly. That’s where a lot of my content comes because you guys are getting phone calls and emails from people, that’s phenomenal. That’s what is all about. It’s the same thing here, what emails, questions I get from people online and social media. Putting those questions on the show because that’s what ultimately people want to have. I also look at it as my daily marketing. How can I touch base with my tribe every day for the most part? They don’t always get uploaded onto the podcast platform in a timely fashion sometimes. How can I still touch base via video? Build that rapport to help people feel like they can ask any question because there are no dumb questions. The only dumb question is the question you don’t end up asking. Are we guys going to see you here in Texas for the Mastermind upcoming in April? I’m trying to work it out with my complicated life. We have students living with us and it’s always a big negotiation to see who gets to leave the house. What’s the best way for them to get ahold of you? Go through the Good Deeds Note Investing website? We’ll put it on Facebook but it is GoodDeedsNoteInvesting.com and either Chris or Gail@GoodDeedsNoteInvesting.com. Most of us are on Facebook groups as well, you can shoot us a message. 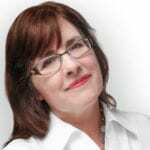 Please send complementary emails to Gail@GoodDeedsNoteInvesting.com and direct your complaints to Chris@GoodDeedsNoteInvesting.com. Once again guys, thank you so much for being on the show but more importantly, thank you for continuing to be investors. Go out, do things and be a light closing deals. Being open, honest, sharing your time and resources as well with others. There’s not enough of us who wants to do that and it speaks to how big your guys’ heart in wanting to see people succeed. There are plenty of opportunities out there. We got to know where it’s at. Thank you, Scott. You pushed me at the Fast Track to start the podcast that was some momentum behind it, thank you. As always, if you loved the episodes feel free to leave a review, share it on YouTube or Facebook. The same thing, go check the Good Deeds Note Investing podcast on iTunes, Stitcher and all those other available channels out there. Like it, subscribe to it, leave a review and let’s get their episodes up. These guys are doing a great job and there’s nothing better as a new podcaster than see somebody subscribe or leave a review on your show. Go out, make something happen guys and we’ll see you all at the top. Mortgage notes are my life! Join me on the Good Deeds Note Investing Podcast https://gooddeedsnoteinvesting.com/podcast/ to hear why. My co-host, Chris Seveney, and I love building wealth while helping borrowers in trouble. In each episode we share the crazy stories and all the tips and tricks we’ve learned to make the most of this exciting type of real estate investing. Consider this: Over and over on any given day, the stock market plunges 100s of points for no good reason. Does it drive you crazy that your net worth can be slashed at any time by such ridiculous thinking? Me too. That’s why I started investing in real estate myself and why my partner and I give others a chance to come on the ride with us. If you are interested in learning more, please listen to the podcast and visit our site at GoodDeedsNoteInvesting.com. You can also email me at Gail@WinWinNotes.com or call 215.805.1796.